• View topic - Hi! Hello! I thought I'd introduce myself. I'm Sarah from the UK. 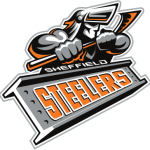 Fan of the Washington Capitals (particularly the Russians haha) and the Sheffield Steelers are my UK team. I thought I'd say hello here because when the breaks tend to take place it's 4am over here so can't be on the chat. Welcome Sarah! We have an amazing community and it's too bad you can't be around on chat as we have lots laughs. Hope to see you around! Thanks for the intro, Sarah! Welcome to 643. If you ever have any questions at all, please do not hesitate to ask! Welcome to 643 Sarah your going to like it here! Woohoo, finally know your name! thanks for coming over from ebay and welcome to our little family! Yep, there's always next season!